Dr. Woody Domingoes is a 1986 graduate of the University of Florida with a BS degree in psychology. He is also a 1990 graduate of the University of Florida College of Dentistry where he earned his Doctor of Dental Medicine degree. Dr. Domingoes was the director of the Good Samaritan dental clinic which is responsible for providing dental care to disadvantaged people in the St. Johns County area, and he also volunteers as a provider of dental care in that facility. He is also a member of the Saint Augustine Dental Society, American Dental Association, Florida Dental Association and the Northeast District Dental Association. Dr. Domingoes has been relentless in his pursuit of cosmetic dental excellence and is a member of a number of related organizations including the American Academy of Cosmetic Dentistry and the Florida Academy of Cosmetic Dentistry. He recently received four gold medals at the Florida Academy of Cosmetic Dentistry Annual Session for his excellent work in the field. Dr. Domingoes is a PAC~Live graduate (cosmetic dentistry), a certified Invisalign® provider (invisible braces), and a graduate of the Seattle Institute for Advanced Dental Education course for Anterior Dental Esthetics. 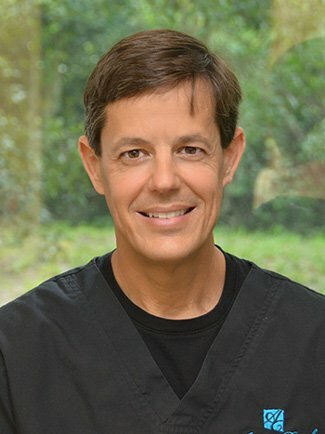 Locally, he is known as the cosmetic dentist of Saint Augustine’s own Extreme Dream Makeover. Dr. Domingoes takes great pride in being a long time member of the Saint Augustine community. He is active at Good News Presbyterian Church and spends his free time with his family and pursuing his hobbies of boating and fishing. Dr. Maria Valdes-Domingoes is a 1986 graduate of the University of Miami with a BS degree in psychology. She is also a 1990 graduate of the University of Florida College of Dentistry where she earned her Doctor of Dental Medicine degree. Dr. Valdes volunteers as a provider of dental care at the Good Samaritan dental clinic for the needy. 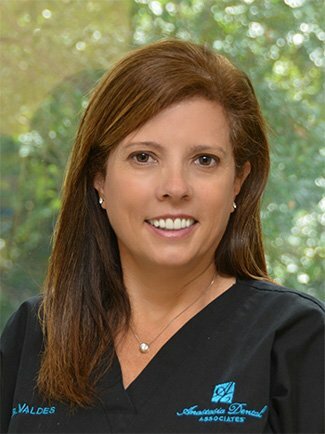 She is also a member of the Saint Augustine Dental Society, American Dental Association, Florida Dental Association and the Northeast District Dental Association. She was also given an award by the American Society of Dentistry for Children, reflecting her great love of helping and treating children. She is also a member of Omicron Kappa Upsilon dental honor fraternity. Dr. Valdes is a member of a number of cosmetic dentistry related organizations including the American Academy of Cosmetic Dentistry and the Florida Academy of Cosmetic Dentistry. She is a PAC~Live graduate (cosmetic dentistry), and a graduate of the Seattle Institute for Advanced Dental Education course for Anterior Dental Esthetics. Locally, Dr. Valdes is known as one of the cosmetic dentists of Saint Augustine’s own Extreme Dream Makeover. Dr. Valdes takes great pride in being a long time member of the Saint Augustine community. She is active at Good News Presbyterian Church and spends her free time with her three children and husband.